Careful study in veterans looks at accidental death by prescription painkillers. When it comes to prescription painkillers, the difference between controlling pain and dying from an overdose may come down to how strong a prescription the doctor wrote, according to a new study in veterans. And the threshold for safe prescribing may be lower than most people think — or than most guidelines recommend. The researchers, led by an opioid overdose expert from the University of Michigan Medical School and VA Ann Arbor Healthcare System, made the findings through a careful examination of records from 221 veterans who died from accidental opioid painkiller overdoses, and an equal number of veterans who were matched to be exactly alike in many ways, and took opioids for chronic pain, but did not overdose. The average dose that the overdose victims had been prescribed was far higher than what the comparison patients had received. On average, those who overdosed had been given a prescription higher than 71 percent of those who didn’t. The findings are published online in the journal Medical Care. Current prescription guidelines for opioid painkillers recommend not going above a daily dose of 100 morphine-equivalent milligrams, or MEM — a measurement that can be used to account for differences in the strength of different prescription opioid painkiller drugs. The researchers didn’t find a specific dose that clearly differentiated between patients at risk and not at risk for overdose. In fact, some overdose victims actually had prescriptions well under 50 MEM daily. But the average daily prescribed dose in the overdose group was 98 MEM, compared with about 48 MEM among those who did not overdose. The difference between the two groups did not change much even when the researchers excluded patients who had super-high-dose prescriptions over 300 MEM. The researchers created a model of all the doses both groups of veterans received. Based on the doses received in each group, lowering top prescription strengths below a 100 MEM threshold could benefit those most at risk of an overdose, while affecting few patients who aren’t at risk, they say. “As the United States grapples with the rising toll of accidental overdoses due to opioids, our findings suggest that changing clinical practices to avoid escalating doses for patients with chronic pain could make a major difference in the number of patients who die,” says Amy Bohnert, Ph.D., first author of the new study. Overdoses can happen at many opioid dose levels — for example, for instance if a patient drinks alcohol while on the medications, loses track of when they last took a dose, or takes more than the prescribed dose to handle a flare-up of pain. But as dose goes up, so does the danger of accidentally taking too much for the body and brain to handle, which shuts off the signals that keep a person breathing. Accidental overdoses are different from suicide by intentional overdose, in which someone takes too many pills at once with the intention of ending their life. Overdose deaths from prescription opioids outnumber suicides by overdose by a large margin, and have grown as prescriptions for these medications have grown. Opioid painkiller prescriptions have quadrupled since 2000, according to the Centers for Disease Control and Prevention. In January, CDC released data showing that deaths from natural and semisynthetic prescription opioids had risen 9 percent between 2013 and 2014. In 2014, opioids of all kinds — including heroin — were involved in 28,647 deaths, or 61 percent of all drug overdose deaths. The rate of overdoses from all opioids has tripled since 2000. The new U-M/VA study is based on the veterans’ full VA medical and pharmacy records and death certificate information. It did not include those who died by suicide using opioids, nor veterans receiving hospice or palliative care. Veterans were selected only if they filled a prescription for an opioid medication and had a diagnosis of chronic pain of any kind during the years 2002 to 2009, and had not filled another opioid prescription in the last two years. The researchers included veterans who had been prescribed codeine, morphine, oxycodone, hydrocodone, oxymorphone, hydromorphone, fentanyl, meperidine, pentazocine, propoxyphene or methadone. 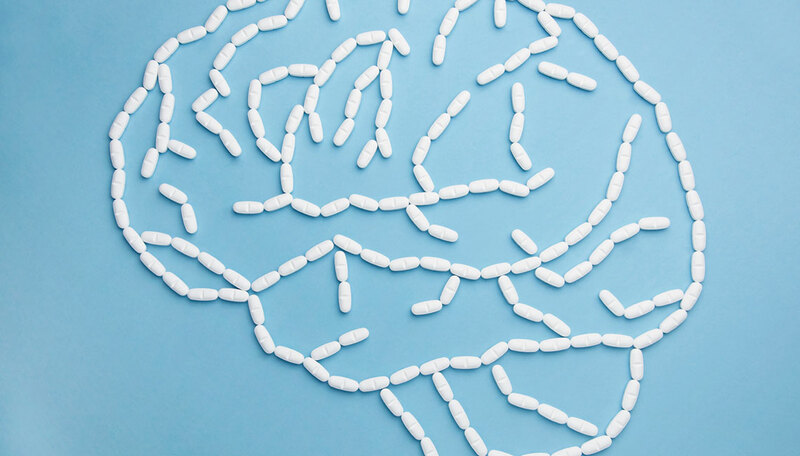 The researchers contrast their study, which looked at dose on a continuous scale of MEM levels, to past studies that broke prescription strengths into groups of 10 or 20 MEM each. In such studies, all prescriptions over 100 MEM were lumped together as the highest doses. In the group of veterans studied for this paper, less than 25 percent of the non-overdosing veterans had prescriptions above 50 MEM, but 60 percent of those who died of an overdose had a prescription over 50 MEM. Bohnert, an assistant professor the U-M Department of Psychiatry, is a member of the VA Center for Clinical Management Research, the U-M Injury Center and the U-M Institute for Healthcare Policy and Innovation. She was a member of the Core Expert Group tapped by the CDC for the development of new prescribing guidelines for opioid painkillers. The draft guidelines recommend that providers consider other painkillers first, prescribe the lowest effective dosage, put additional precautions in place for any patient to whom they prescribe more than 50 MEM a day, and avoid prescriptions over 90 MEM a day for chronic pain patients. In addition to Bohnert, the study’s authors are Dara Ganoczy, of U-M and VA, and two researchers with the CDC’s National Center for Injury Prevention and Control: Joseph E. Logan, Ph.D., and Deborah Dowell, MD. The study was funded by the Veterans Administration. The Taubman Health Sciences Library has reopened after a $55 million renovation, transforming it into a medical education hub for in-person, collaborative, active learning.